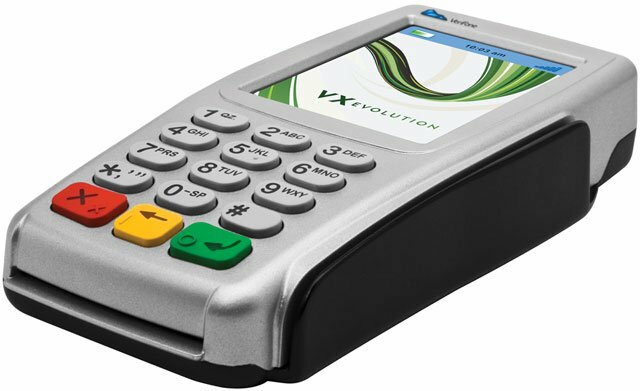 VeriFone Vx 820 - with smart card & contactless. Requires key injection in order to accept debit or credit card payments. Please call for more information. The Vx 820 provides all the bells and whistles retailers ever wanted in a PIN pad, with the stylish design that consumers are drawn to and familiar with. A brilliant, vibrant 3.5" color display ensures awesome readability and usability. Plus, retailer promotions and branding are easy to implement and shine with this device. The VeriFone M282-703-C3-R-3 is also known as VFN-M282-703-C3-R-3	or M282703C3R3	.